Many high school seniors are already getting ready for the next chapter - college - and faced with the major task of choosing the best colleges for them to apply to. Here are some of the important factors that go into making this decision so your nieces and nephews end up at their dream school. 1. What do they want to study? As you talk to them about some potential career directions, help them narrow down colleges that are best known for those choices. 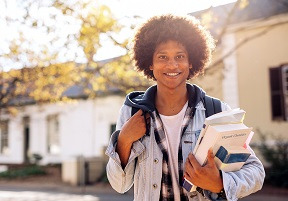 Some students may not know what they want to be “when the grow up” and therefore a college with a wide selection of disciplines and courses may be a better direction. Others may know exactly what they want to pursue, so researching which are best for that discipline is critical. 2. Will they be able to continue pursuing their passions? Maybe your niece or nephew is interested in the science and technology stream, while also a star athlete or musician. According to HuffingtonPost.com, many students end up choosing colleges where their personal interests aren’t available, causing them to “miss out on the important life-balancing pursuit of an out-of-classroom passion.” Make sure your nieces and nephews consider their priorities and understand that there may be opportunity costs for choosing a school that doesn’t make those passions accessible. 3. How far from home are they willing to go? Does your niece or nephew want to be close to home, or as far away as possible? Do they have a passion for the mountains, or the beach? And while they may gravitate to a campus five minutes from either, it may not offer the areas of study needed for their desired degree. They should consider is what region of the country they want to be in. 4. How intimate do they want their college experience to be? When it comes to college, size definitely matters. Does your niece or nephew want to explore a new, big city, or do they want a more small-town feel? Do they see themselves thriving in an intimate classroom setting with closer attention, or do they prefer the anonymity of a larger lecture hall? 5. What kind of social, religious, and/or political activities are important to them? Perspective students should look at the organizations and clubs, and Greek life if that’s an interest, at each college they are considering. Which schools have the same clubs and activities they participate in now? Which offer social clubs that are new to them but peak their interest? And will they have access to the religious and political groups they affiliate with now? 6. Which schools are financially accessible? For every potential school, consider the tuition and boarding costs, as well as available financial aid. opportunities. Depending on their situation, help them narrow down the list and help them better understand how student loans and how loan payments post-college may change their choices. 7. When can you plan a trip? There’s no better way for teens to find out if they can see themselves at a particular college than actually being there. After narrowing down the top candidates, start planning visits to each school. Nieces and nephews can explore the campus, the town, and talk to students who can offer genuine insight into their experience. You can either volunteer to take a them to see one or two of the campuses, or if you’re a local aunt, offer to stay with younger siblings while their mom and/or dad take their kids to visit the schools. The idea of choosing a college can seem stressful, but knowing their Savvy Auntie is there to lend some guidance, talk through their considerations, and then help them with those applications, will help – and mean - a lot.